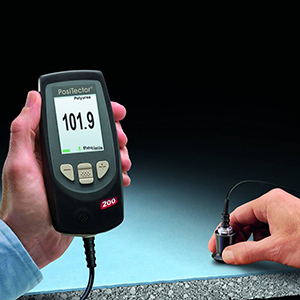 Suitable for measuring the thickness of up to three coating layers over a concrete substrate. 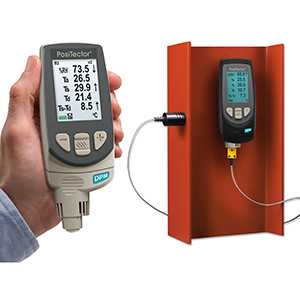 The system is ultrasonic and also suited to testing over wood or thick coatings. 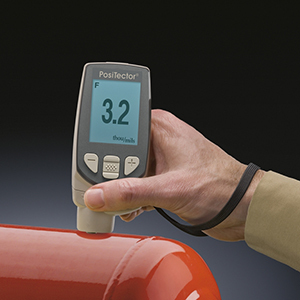 Coating thickness gauge suitable for use over ferrous or non-ferrous metals. 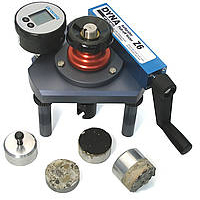 Also suitable for testing over galvanising or anodising. 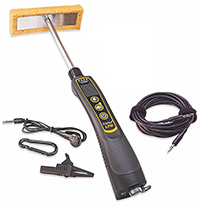 Digital depth probe to measure and record peak to valley surface profile heights. 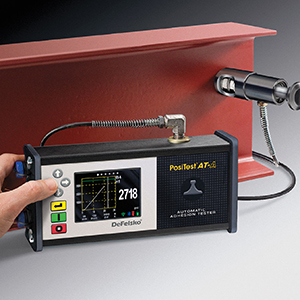 Advanced pull off test system for coating adhesion to metal or concrete substrates. 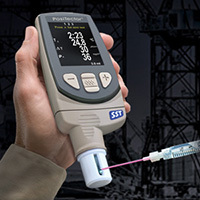 Ideally suited to research of laboratory testing of coatings, but flexible enough to use on site. 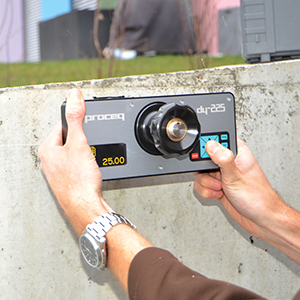 Ideal site testing machine for adhesion of coatings to concrete or steel. 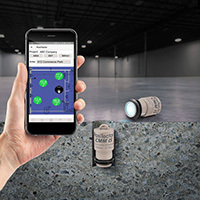 Detects holidays, pinholes and other discontinuities on metal and concrete substrates. Measures and records peak to valley surface profile height using replica tape. Can produce image map of surface profile. 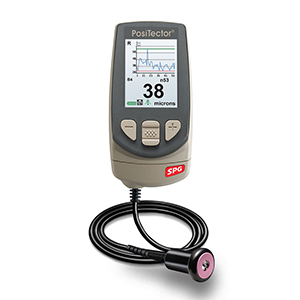 The PosiTector SST Soluble Salt Tester measures the concentration of soluble salts (salt contamination) on metal surfaces in accordance with ISO 8502-6, 8502-9. To be used before applying coatings. 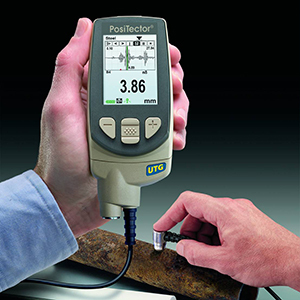 The UTG measures the wall thickness of materials such as steel, plastic and more using ultrasonic technology. 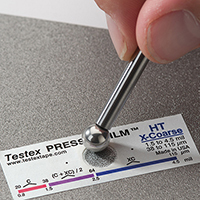 Test through coated and un-coated steel.